Almost any food you eat can cause you to have loose, watery stools if you have an adverse reaction to it or if it exacerbates a pre-existing condition. Although it's not a common allergen, an avocado can cause allergic reactions in some people, or they may trigger a food intolerance. The skin of the avocado could have been contaminated with bacteria that made you sick. 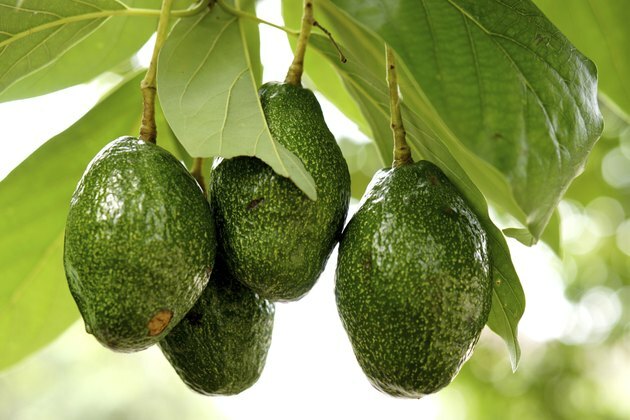 Or, if you eat too much avocado at once, the fruit's high fiber content could be to blame. Avocados are rich sources of dietary fiber, the part of plant foods that passes through your system without being digested. Usually, fiber is beneficial for digestion because it aids the movement of waste and prevents constipation. If you eat too much fiber at once, however, you could experience diarrhea. One whole Florida or California avocado has 13.5 grams of fiber. To put that in perspective, that's more than half of the recommended dietary allowance for women and about 35 percent of the RDA for men. The recommended serving size for avocado, however, is just one-fifth of a fruit. To avoid stomach upset, stick to a single serving of avocado at one sitting. If you experience stomach pains, nausea or vomiting, diarrhea, rash, itchy mouth or ear canal or nasal congestion after eating avocado, you may be having an allergic reaction. An allergic reaction involves your immune system, and even a small amount of avocado can cause symptoms. In severe cases, you could experience difficulty breathing or trouble swallowing or even go into anaphylactic shock. If the problem is an intolerance, it doesn't affect your immune system but could still cause digestive complications, including diarrhea. Either way, you should avoid eating avocado. Several types of bacteria, including salmonella, campylobacter, E. coli and listeria, may contaminate food and cause serious side effects, including diarrhea, if ingested. Even though you don't eat the skin of the avocado, if your fruit was contaminated, the bacteria could have been transferred to the flesh when you cut into it with a knife. To prevent this, rinse avocados thoroughly under running water before cutting into them. Wash your hands and any utensils that may have come into contact with bacteria before handling or cutting avocado. A host of pre-existing conditions could be the cause of your diarrhea and not specifically the avocado you ate. Irritable bowel syndrome, Crohn's disease, inflammatory bowel disease and celiac disease are just a few, notes the National Digestive Diseases Information Clearinghouse. Before you blame avocado, be sure that you've ruled out any other ingredients, such as gluten, in the meal that may be the cause of your diarrhea. Talk to your doctor about a possible elimination diet to pinpoint the culprit.